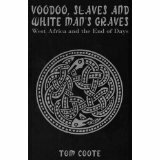 If you ever fantasised about flying to West Africa and exploring all its charms - read Voodoo, Slaves and White's Man Graves first. You may well alter your plans. Pithy, witty, acute observations peel away any illusions and any tourist organisations over in Benin, Togo or Ghana may want to buy up all the copies of this book and hide them. I like Tom Coote's honesty. He doesn't big himself up. Tells it as it is. Pink white man on a budget vacation in West Africa and he's well prepared for the sanitation issues, the culinary surprises, the desperate urge to purge from either end. He knows the danger of walking out alone in cities such as Accra or the sheer frustration of trying to get a visa for Ghana, or a bus in Mali. He does all this for us so we don't have to. Through these pages I have travelled West Africa, felt every bump, met complete strangers and persistent beggars and avoided needles on the beaches. And although I enjoyed every moment from the comfort of my sofa, never once did I feel jealous or an urge to fly Burkina Faso (the third least developed country in the world) and watch flies crawl over the meat. Interspersed with his text are wry comments of the legacy of history, not only the consequences of slavery, but how much of it is still going on. I learn that 1.8 million children are involved in the cultivation of chocolate. At least 71 countries use slave labour to produce the stuff. Add observations such as, how hard it is to get a good cup of coffee in Ghana, despite this being where it is grown and this is no mere travel book. It is a lesson in economics and history. Coote notes on how rare bookshops seem to be in West Africa. Even in a city of half a million such as Tamale. Or how many western people 'pay' to look after orphans on brief visits to this region and other scams that enrich locals and absolve westerners of 'guilt'. We get to meet stray westerners who visit or work over there and lively portraits of locals keen to 'help or guide' and one gets the impression one needs deep pockets to survive, even on a budget visit. Tom visits curious cultural sites - the Sacred Crocodiles of Paga, for example and has to purchase a live guinea fowl to feed one before he can sit on its back. These things don't happen when you visit Paris. I thoroughly enjoyed Voodoo, Slaves... lively, personal, entertaining and educational, just like Coote's brilliant 'Tearing up the Silk Road', his journey in West Africa is compulsive reading and so vivid you may need some quinine with your tonic to wash it down.